How to Become a Singer and be a Super Famous Rock Star! …And Maybe Even Become Famous. Ok seriously though – I’m not promising this is a guide on how to become famous and rich beyond your wildest dreams. Let’s just cut to the chase – to get lady gaga famous, you’re going to need a major label behind you. BUT – you don’t need a major record label to start your professional singing career. And trust me, no major record label in the world would give you two seconds of their time if you’re not already doing well with the stuff I’m about to discuss in this post. So read on if you seriously want to know how to become a singer professionally. There’s a great guide on how to become a singer on Amazon that goes into all the details of what I’m going to talk about here. It’s a really great 62-page e-book put together by the people at PBE Music and it’s only $4.99 at the kindle store. You’ll learn about writing, creating, recording and selling your own music, getting your music on radio, tv and magazines and the truth about major record labels. We actually offer this ebook as a free bonus if you decide to buy an online singing lesson through a link on this website. If you just want to buy the book click here. The first thing you want to understand when venturing into the world of being a singer is to NOT wait for someone to come along and “discover” you and fulfill all your dreams of fame and fortune. In the *REAL* music business you have to work hard and beat the pavement on your own until you have built up enough of a following on your own. At that point – when you’re already making, promoting and selling your own music to a sizable fan base – a major label can step in and take it to the next level. But you gotta start small. And you gotta work hard. NOTE: Now, I should probably say there are many different types of singers – performers, songwriters, studio vocalists, backup singers, etc. But if you want to be a singer like your favorite major artist, then this guide will help you get there. 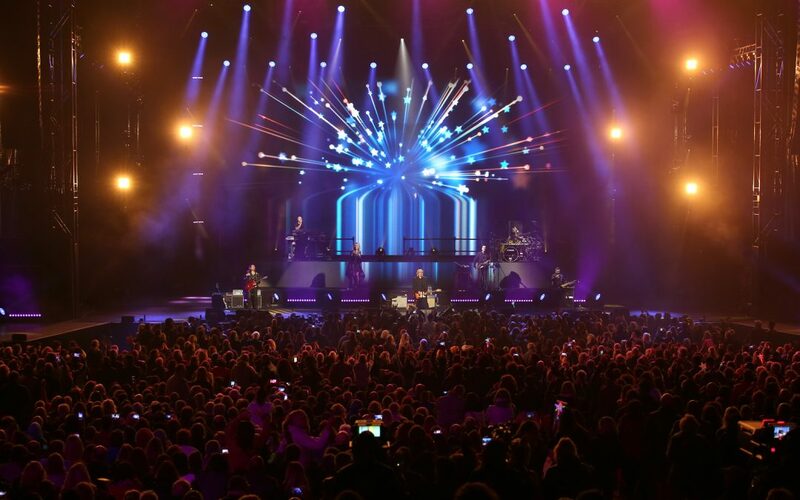 So of course, to be a singer you have to have something to sing – words (i.e. lyrics) set to music (i.e. instrumentals). Let’s go into these briefly one-by-one. (You might also want to learn the basics of music theory – they’ll come in really handy when you’re making your music. Songwriting is an important part of creating good music, but the quality of your voice is just as important. The best lyric sung by a mediocre voice can’t be saved. And an amazing voice with a mediocre lyric is still better. That’s why you need to study both to be successful in the music business. 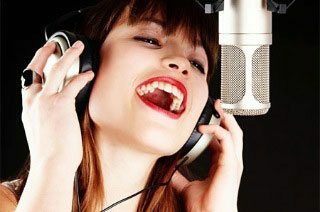 Read some books on songwriting and definitely download one of these online singing lessons to drastically improve the quality of your singing. Of course, to make music you need… music. You may be the type of singer that has a band backing him/her up which is great. You’ve got music down – just make sure your band-mates (and you) know their instrument(s) WELL. If you don’t have a band and want to be a solo vocalist then you’ll need to work with music producers. There are a ton you can find online and you can even buy beats and instrumentals online for cheap. The ebook I talk about at the beginning of this guide covers all this stuff – from vocals to getting instrumentals in details. Make sure you pick it up if you’re not planning on buying a singing course. This is a HUGE part of being a singer in the music business. Once you make your music you are going to be on your grind hustling to get it heard by potential fans. There’s a lot of ways you can do this and sometimes it can seem overwhelming. But promoting your music is something you’re always going to be learning about and experimenting with. So find out all the info you can, try new things and just focus half your time on getting new fans. That’s what it’s all about – real, actual fans. Not facebook like. Or twitter followers. You need people that ACTUALLY CARE about your music. How do you do that? Give them an experience and then nurture that relationship. There’s a lot to know when marketing and promoting your music. But with the internet at your fingertips, things are easier now than ever before. The only thing is – everyone’s doing it, so standing out from the crowd really requires AMAZING music. So focus 50% of your time on making new (and BETTER) music and 50% of your time on getting new fans that love your music. That’s a recipe for success in the music business. This is another VERY important part of the music business. Especially as an independent music artist (which is what you are – until you get signed to a major label). The reason you need to hit the road is because it’s your best opportunity to WOW your potential fans and give them that experience that they won’t forget (not to mention sell a lot of cool merchandise). Since you’re touring, you’re picking up fans all over the place. But don’t forget to sing your songs locally in live venues as well. There’s nothing like playing live. And if you’ve got a knot in your stomach while reading this. Don’t worry you’re not alone. But there are MANY ways to get over your stage fright. 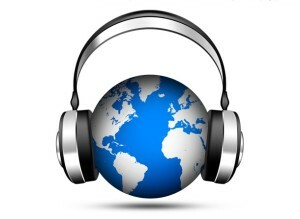 And the part which most people want to hear about – the major record labels. But let me start off by saying this – major labels are nothing but big banks for the music business. All they’ll EVER do is lend you a lot of money. All the work still has to be done by you and your team. That’s why many artists choose to remain independent. They don’t want to give up all their rights and money! And they’re smart for it. But once you’ve built a solid fan base and are doing well in the music business, the record labels will come knocking. And if you decide that’s the route you want to go, that’s good on you. Just don’t get your shirt taken off your back! So those are the basics of what you’ll need to study in order to become a singer professionally. Now, of course, you probably need some more in-depth explanation of a lot of these concepts. But that’s just too much info to fit in one blog post. 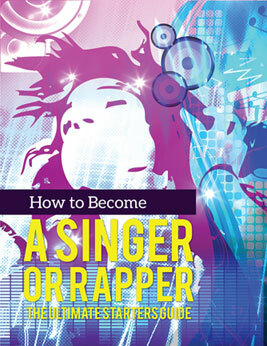 That’s where the new e-book by PBE Music comes in – How To Become a Singer or Rapper: The Ultimate Starters Guide. Make sure you get the book. It’s only $5 and has INVALUABLE information and goes into details on everything we talked about here in this blog post. Don’t sleep on this book. It’s your next step. So pick up the book at amazon or purchase an online singing lesson through this site and we’ll give it to you as a free bonus. But READ THIS BOOK if you really want to become a professional singer in today’s music business. Thanks for the feedback! If you have some time, it’d be great to leave a review on Amazon because I know the authors check that out and will likely make those additions you suggest in the next version of the book. The things you had listed to become a professional singer are perfect…By getting this much of idea now having the excitement to read about the book…these are the great highlighted points of becoming an professional singer…!!!!! Glad you like the book, it’s a great resource for anyone wanting to become a professional singer. I am only 10 and have a wonderful voice. I love singing and want to be noticed. I also like the advice.